Updated Wednesday November 25, 2015 by Saskatoon Minor Basketball. Deadline for teams to get tickets is Tuesday December 8th! Get your team tickets as soon as possible! 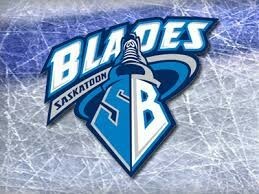 We have been invited by the Blades to come to a SMBA night! We will have access to a team package as well as the opportunity to "High Five" the Blades as they enter the ice! This would be a great team bonding experience, not to mention a great chance to watch our home town team! Team package for $75.00 includes 12 players and 2 adult tickets. Any additional tickets are at a discounted rate.